On November 21 the Boston chapter of LUPEC (Ladies United for the Preservation of Endangered Cocktails) will transform the Jorge Hernandez Cultural Center into a swinging 1940’s-themed cocktail party featuring retro-libations, live entertainment, dancing, delicious canapés, a prize raffle, and a USO-style variety show. It’s a coed event, and all are welcome. This is our second annual large-scale fundraising event and was created to benefit women at The New England Shelter for Homeless Veterans (NESHV). Tickets are $35 in advance/ $45 at the door, and can be purchased at Toro and Tremont 647 in the South End, Grand in Somerville, or online at grandthestore.com. challenges of addiction, trauma, severe and persistent mental illness, and/or unemployment, and who will commit themselves to sobriety, non-violence, and working for personal change. They are recognized as one of the most effective private veteran’s transition programs in the country. Learn more at http://www.neshv.org. Light cocktail party fare will be provided for the evening by Toro, Tremont 647, and Lionette’s Market, Island Creek Oysters have a date with the oyster knife, shucking their acclaimed “Duxbury Pearls”, and The Boston Derby Dames will skate around with sweets provided by Taza Chocolates. The New England Shelter for Homeless Veterans is a private, non-profit organization with a mission to extend a helping hand to homeless men and women veterans who are addressing the challenges of addiction, trauma, severe and persistent mental illness, and/or unemployment, and who will commit themselves to sobriety, non-violence, and working for personal change. They are recognized as one of the most effective private veteran’s transition programs in the country. Learn more at www.neshv.org. We also tried the Salty Dog straight up. Drinks, photos, and original editions courtesy of k. montuori. 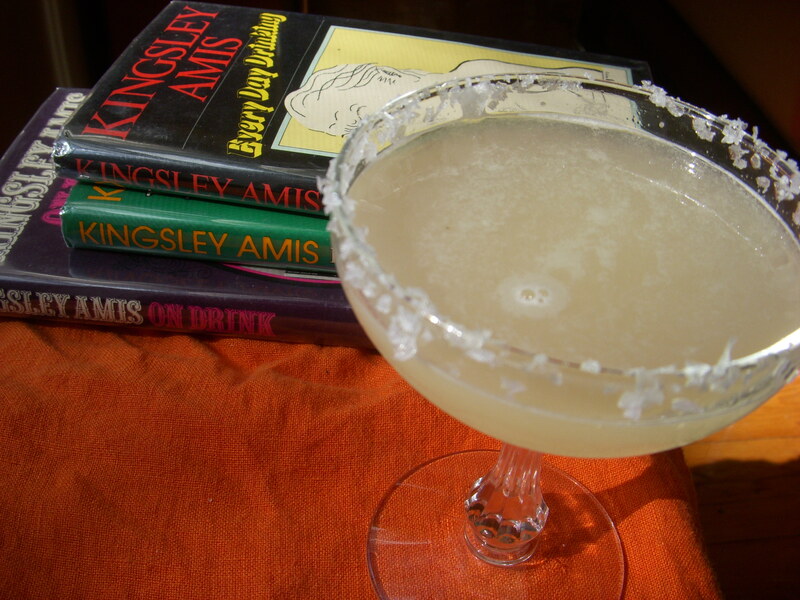 The thing that we at LUPEC Boston have to love about Kingsley Amis is that he wrote a regular drinks column just like we do. His compilation of his articles are included in Everyday Drinking, published anew this year. We saw it on the shelves at Porter Square Books. Mix everything together and serve on ice. Go for the cheapest reliable ingredients – don’t waste the good stuff. And as Kingsley points out, if you toss in leftover drinks from last night, no one will notice. Make as a martini; stir with ice and let stand for 2 to 3 minutes before serving straight up in chilled stemmed glasses. 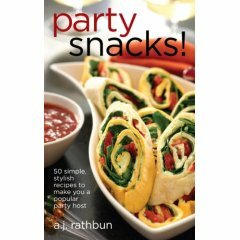 I’d say try this with a home infusion of vermouth and hot peppers and you’ll have a vodka drink worth drinking. Cheers! We were subsequently disappointed to learn that AJ’s liqueur tasting/book signing at Brix Wine Shop in the South End conflicts with the Relaunch Party for the Little Black Book of Cocktails, but wanted to alert you to this great opportunity to meet the award-winning West Coast cocktail author from 6 – 8 p.m. at Brix in the South End tomorrow. 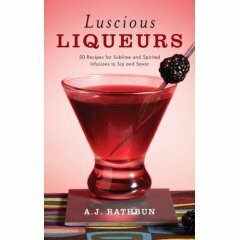 Head on over before or after the LUPEC event at GRAND to purchase signed copies of the books and sample liqueurs and snacks from the new titles. 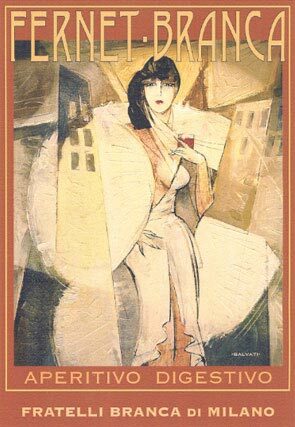 An don’t forget to ask the author what his favorite liqueur is – the first LUPEC Boston blog reader to report back with the correct answer (post it right in the comments section) receives a prize! Handsomely designed by LUPEC Boston’s own Pinky Gonzales, this smart little book contains recipes for the “namesake cocktails” of the founding members of LUPEC Boston, plus recipes for some of our favorite classics and vintage-inspired originals. The updated second edition also includes the namesake & favorites of our newest member, Saucy Sureau, as well as new recipes and updates to the original. The book costs $15 and all proceeds from book sales benefit the New England Shelter for Homeless Veterans’ Women’s Unit, the chosen beneficiary for our fall fundraising efforts, including the This Ones for the Ladies Promotion and The LUPEC Boston USO Show. 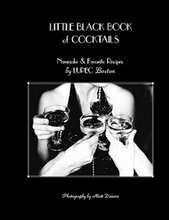 We hope you’ll join us this Tuesday for punch, snacks, and celebration of the latest edition of LUPEC’s Little Black Book! Join the ladies of LUPEC Boston as we raise our glasses to raise awareness! Starting November 1, LUPEC Boston will partner will select Boston-area bars and restaurants to offer our Second Annual “This One’s for the Ladies” drink promotion. Participating establishments will be donating the proceeds from one broad-related beverage for the month of November to women at the The New England Shelter for Homeless Veterans, the chosen beneficiary for our fall fundraisers and events. The New England Shelter for Homeless Veterans is a private, non-profit organization with a mission to extend a helping hand to homeless men and women veterans who are addressing the challenges of addiction, trauma, severe and persistent mental illness, and/or unemployment, and who will commit themselves to sobriety, non-violence, and working for personal change. They are recognized as one of the most effective private veteran’s transition programs in the country. Learn more at http://www.neshv.org <http://www.neshv.org/&gt; . We will keep an updated list of links to participating restaurants here on our blog. Check back often to see where you can go to have one for the ladies! If you work at a bar or restaurant and are interested in participating please e-mail us at lupec@lupecboston.com! This week in the Dig I wrote a brief history of the cult favorite Fernet Branca. If you are new to the world of Fernet having an entire bottle sitting on your shelf can seem a bit daunting, to say the least. You’ve choked down a few shots in an attempt to be part of the club, but the appreciation for this bitter elixir isn’t quite there yet. It seems as though the eagle with the Fernet in his talons is taunting you as you’re thinking there must be an easier way to get to the bottom of that green bottle. Fear not my friends! Here are a few more cocktails to help open your palate to the complex and ultimately rewarding world of Fernet Branca. An entire country can’t be wrong. 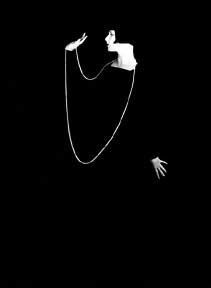 In Argentina one million cases of Fernet Branca are consumed annually in this fashion. Fernet and Cola is a delicious, symbiotic relationship in which the bitterness of the Fernet and the sweetness of the cola temper one another perfectly. It’s a balanced boozie bear hug in a glass. Stir ingredients with ice for 30 seconds. Strain into a chilled cocktail glass. I have frequently described this drink as my savior as it is equally adept at “setting me straight” the day after a night of overindulgence or soothing a very full belly after a deliciously large meal. 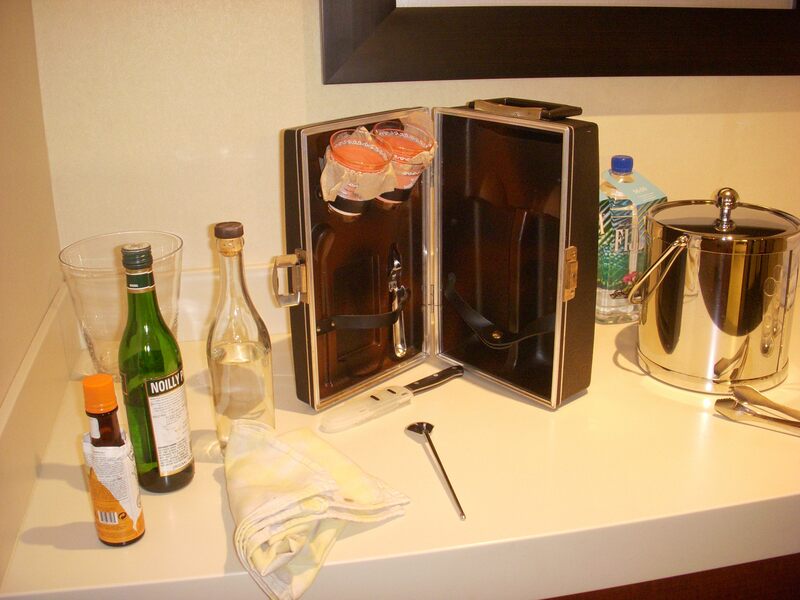 I prefer to use a rye of higher proof when making this cocktail, such as Rittenhouse Rye or Sazerac 6 Yr Rye. This recipe comes to us courtesy of Jeff Grdinich, White Mountain Cider Company, Bartlett NH. He describes it as his irreverent tribute to Chuck Taggart and Chuck’s cocktail, the Hoskins. Stir ingredients over ice and strain into a chilled cocktail glass. If you are using LUPEC approved vintage glassware, chill down a second stem and invite over a friend because this is a pretty big cocktail! This one come to us courtesy of Murray Stenson at the Zig Zag Cafe in Seattle. Build over ice in a highball, adding soda to taste. Garnish with an orange slice.